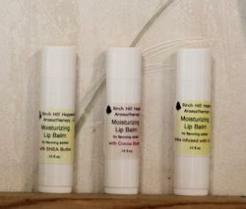 All Natural oils in these Moisturizing Lip Balms makes your lips oh so soft and kissable! Wonderful to use anytime. Has wonderful oils and butters to help keep your lips soft and smooth. These are made in small batches by Penny. There is no Flavoring, no sweeteners added to these. And no scent is added to the Coconut Butter based lip balms. You will only smell the natural oils used to make these balms, which is minimal to none. 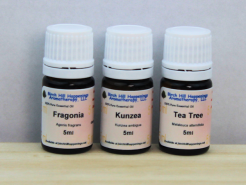 The Jojoba with Vanilla also has no flavoring or sweeteners added, but you may smell or even taste a tiny amount of vanilla from the vanilla infused Jojoba used in these lip balms. 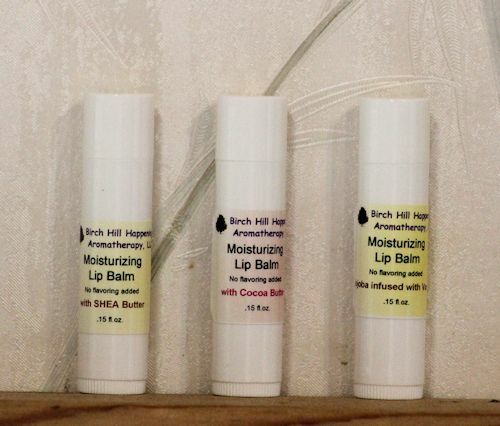 NOTE: Shea Butter Unflavored lip balms are no longer available.